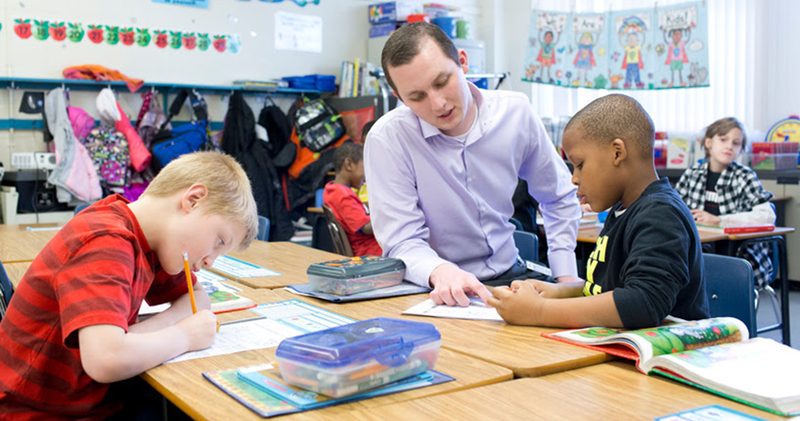 Our graduates can be doubly proud of their degrees from the College knowing that our programs performed exceptionally well on the Missouri Department of Elementary and Secondary Education’s (DESE) Annual Performance Report for Educator Preparation Programs. Of the 16 UMSL COE programs eligible for overall APR ratings, 13 ranked at the very top of the scale at Tier I (Exemplary), and 3 were ranked in Tier II (Successful). None of our programs received scores below Tier II. The Annual Performance Report for Educator Preparation Programs is a collaborative effort that brings together K-12 schools, college and university educator preparation programs and professional education organizations all with the same shared purpose of evaluating and strengthening the ways in which Missouri prepares its future teachers and school leaders. Continuous improvement for educator preparation is the main goal. The APR uses five years of data (2012-2016) to evaluate the success of college and university teacher preparation efforts across the state. This is the first year that the evaluative measure was made public. College of Education Interim Dean Ann Taylor was quick to give credit to the vast network of people and organizations she says is responsible for making teacher preparation at UMSL such a success. The report uses a four-tier system to rank four separate quality indicators that correspond with standards set by the state of Missouri for teacher certification. These quality indicators include: certification assessment pass rates, content area grade-point averages, data culled from surveys sent to first-year teachers about their preparedness to teach and data culled from surveys sent to the principals of those first-year teachers. Programs that have enough students and survey responders to receive individual Tier rankings in at least two of the four quality indicators then receive an overall program Tier rating. Successful programs are expected to rank at the Tier II level, while a Tier 1 rating is exemplary. As one of Missouri’s largest preparers of educators, the College of Education at UMSL is deeply invested in the value of the findings in the APR. Its top-ranked programs prepare future educators in the fields of STEM, languages and the humanities, physical education, counselor education and more.